American Zettler releases its newest appliance relay �" AZ7709 | Press Releases | American Zettler, Inc.
Aliso Viejo, CA - January 9th, 2014 -American Zettler released its newest relay focused at the appliance industry today, the AZ7709. The appliance industry requires high reliability at a low cost. 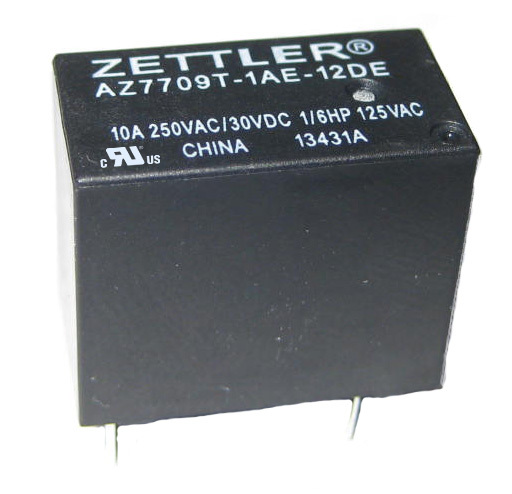 That is why with contact ratings from 3A to 10A, and with multiple coil sensitivities, the AZ7709 is well-suited to meet the requirements of the most demanding applications. UL load ratings are recognized at 850C and 100K cycles. Gold plated contacts are available for low load, high reliability conditions.